Hardware-accelerated 2D drawing – Finally! Enterprise enhancements – Keychain & VPN APIs for managing credentials, worth looking at if you store any kind of sensitive credentials in your app. Some of these improvements are long overdue (such as hardware-accelerated 2D drawing). Others are more innovative and exciting, such as Android Beam. Overall this release seems to be tying together some previously sparse APIs, and building on the strengths that Android already has. Now that the tablet & phone SDKs have been fully integrated, we’ll hopefully see some more consistency in the APIs moving forward. If you’re a developer, I highly recommending downloading the new SDK (version 14) right now. There are a heap of enhancements, including a faster incremental build process, and the SDK Manager GUI has been completely revamped. It’s really worth an upgrade just for the build speed alone. Also, the Android Asset Studio has been integrated into the Eclipse plugin. So you can create icons from within the IDE itself. 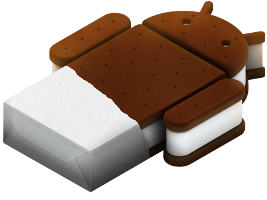 For for more info, check out the official Galaxy Nexus announcement or the SDK Tools announcement.